Driving a Ferrari or a Lamborghini is the dream of many: we offer you the fantastic opportunity to make your dream come true! You can choose any of these wonderful cars. 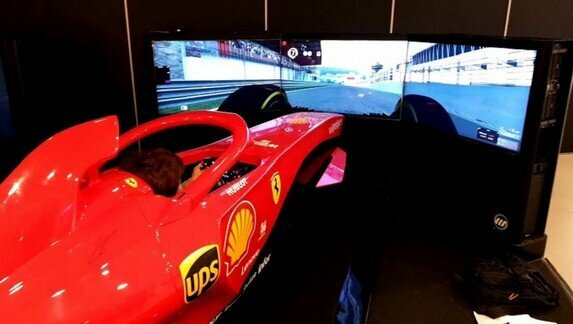 The test drive is on the on the Track (Modena Autodrome) and on road routes (Ferrari road test drive around Maranello, Lamborghini road test drive around S. Agata Bolognese) designed to ensure a pleasant and safe driving. Our Test Drive with provide a briefing on the use of the car. The customer is always accompanied by a professional instructor that follows it for the whole duration of the test. REQUIREMENTS TO DRIVE: be 19 year old; each participant must hold a 1 year valid driving license; for non-EU persons it is better to have an international driving license or an official translation - of the driving license - carried out by the Embassy or Consulate. 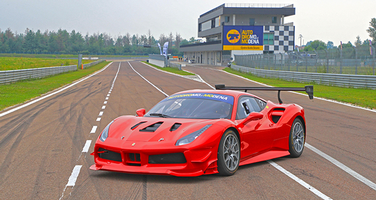 Be a race car driver and give yourself some adrenaline and funny laps: at Modena Autodrome you can take the Ferrari 488 Challenge, the Lamborghini Huracan Super Trofeo, the Lamborghini Gallardo Super Trofeo, the KTM X-BOW, the Ferrari F430 or F458 Challenge and race a supercar around the 2.4 kilometer long winding circuit. Our Test Drive on Track provide a small welcome brunch, a short briefing about the vehicle and the circuit characteristics, preparing to drive, first or last lap with the pilot driving and the guest on the side, if you want, and at the end a Certificate of Participation. The customer is always accompanied by a professional instructor that follows it for the whole duration of the test. 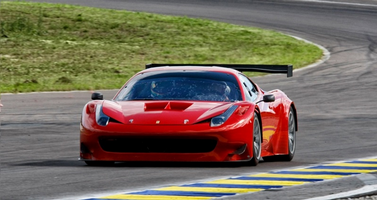 BE A RACE CAR DRIVER AT MODENA AUTODROME: CHOOSE YOUR SUPERCAR! 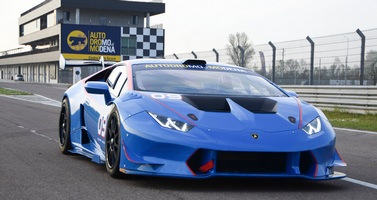 Become a true driver of the Lamborghini Racing Team and guide a supercar on some of the most famous circuits in the world. The experience is made even more sensational and interactive by the option of driving with Virtual Reality support that will make the perception of the elements, space and depth even more realistic.